From Ancient Olympia to Nisyros Island, Acheloos Valley to Chios Island and Kalampaka (Meteora) till Alexandroupoli, 55 cities and regions of Greece will host more than 345 concerts and cultural events with 362 bands & ensembles, 45 philharmonic and symphonic orchestras, 42 choirs and 71 DJs in more than 292 venues across the 13 regions of Greece. 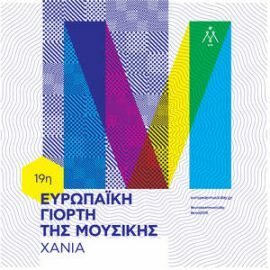 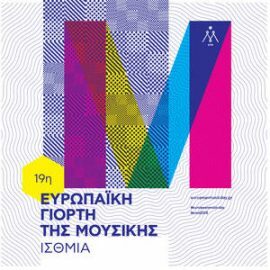 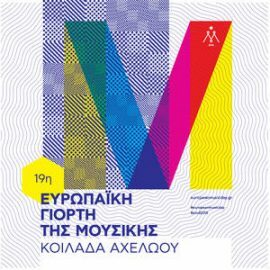 The 19th edition of the European Music Day (Greece), is the result of an amazing national collaborative effort and the passionate support of hundreds of citizens and volunteer organizers participating in the European Music Day, to flood neighborhoods, squares, pedestrian streets and parks with music and rhythms from all over the globe, from 21st till 24th of June. A loud call prompting everyone to leave every days’ life habits aside, and follow the heartbeats of music! Production reserves the right to change the program without prior notice. 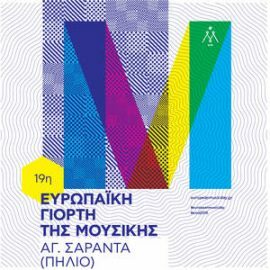 Flash photography is prohibited. The brand name European Music Day and its logo are legitimate trademark.